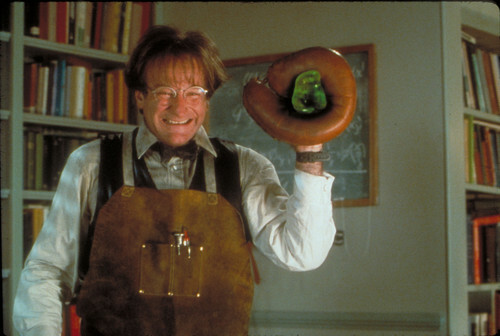 Flubber. . HD Wallpaper and background images in the robin williams club tagged: robin williams stills hq flubber. This robin williams photo contains ruang baca. There might also be toko buku, bookstall, tanda, poster, teks, papan tulis, athenaeum, and atheneum.